What do you believe about supernatural healing? Are you in the 66%? The Barna Group recently conducted a survey on the topic of supernatural physical healing and discovered that the majority of Americans—Christians, people of other faiths, and even those who claim no faith—believe God can heal people supernaturally . . . miraculously. But what does God tell us (and warn us) about miracles? The following excerpt from Faith and Science in a Skeptical Age titled “Miracles and Manipulations” confronts common myths, misconceptions, and motivations surrounding the topic of miracles and supernatural healing. For centuries, people have sought signs or miracles. During Jesus’ ministry, the Jewish religious leaders demanded that He show them His miraculous power. Christ rebuked them, stating, “An evil and adulterous generation seeks for a sign, but no sign will be given to it except the sign of the prophet Jonah” (Matthew 12:39). Jesus, of course, was not against performing miracles. But He rebuked the religious leaders of His day because of their motives in asking for miracles. They requested miracles in order to test Him without any sincere intent to follow Him. They also disconnected miracles from the promises of God’s Word. Christ rebuked them by alluding to His resurrection: “For just as Jonah was three days and three nights in the belly of the great fish, so will the Son of Man be three days and three nights in the heart of the earth” (Matthew 12:40). People crave miracles for any number of reasons, but this can reinforce sinful motives and emphasis on self. In Deuteronomy 29:29, God tells the Israelites to rely on what is revealed to them in His Word. To go beyond the Lord’s self-revelation is not only going beyond God’s will but also going against it. Furthermore, it is a fruitless endeavor. Speculation is just that: speculation. How can somebody know what is not available to them for examination? God’s revelation to us in His Word is sufficient for our knowledge concerning Him and our salvation. People today test God by crying out that they will follow Him if He does something miraculous before their eyes. For example, people point to the many miracles recorded in the Book of Acts and suggest that God ought to be doing such miracles now. The Lord gives very different reasons for us to follow Him. God does not urge us to test His ability to do miracles. He invites us to test His Word and deeds. The Lord calls us to believe in Him based on whether His testimony is actually confirmed in historical reality (Deuteronomy 18:21–22; John 14:11). Thus, the Word of God is our source of truth. The ultimate action confirming its truthfulness is the resurrection of Christ (Acts 2:30–32; 3:15, 18; 17:31). Moreover, remember that the miracles occurring in the Book of Acts were not some grand “miracle parade” that Christians must experience each day. 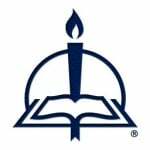 They were done over the first twenty years of the Church’s mission work. God did these miracles not only to demonstrate His presence but also to validate His work and bring people to a saving faith in Christ and His resurrection (John 14:11; Acts 2:22–24). Many of the mighty acts of God have been open to human observation, but this does not always mean that we can understand them. Job 37:5 tells us that God does things that we cannot comprehend. We need faith as well as reason. Even though God does things that are beyond our reason, it does not mean that He does things that are irrational. They stand beyond the capacity for human reason but not against it. Faith is God’s gift for apprehending things that we cannot grasp by our reason (Hebrews 11:1). Understanding the miracles recorded in Scripture can be challenging, and this should caution us when we consider remarkable events not recorded in Scripture. Speculating about things God has not revealed or explained can be fruitless. If we have a minimal understanding of what is revealed, how much less will we understand what is not revealed? Most likely you have heard of television evangelists claiming they have healed people of terminal diseases or other ailments. I remember driving by one church that advertised on its marquee “Miracle Service—Every Tuesday.” A planned miracle service seems ridiculous. And any ad for a miracle service that does not give credit to God, up front, seems suspicious. Personal claims of miraculous power seem bogus. Finally, aren’t real miracles spontaneous? How can any mere person plan a miracle? God is the one who plans and initiates miracles on His own terms and to His own credit! Moreover, we must watch out for false miracles. Scripture warns that the devil has the capacity for creating miracles to delude people and direct them away from the truth. Scripture warns that God will allow such false miracles to occur as a result of His judgment (2 Thessalonians 2:9–12). Many people reason, “The disciples of Jesus did miracles. If a religious leader can perform miracles today, he must be a disciple of Jesus.” Read Matthew 24:24 and Revelation 13:11–14 to see what’s wrong with this reasoning. A miracle does not validate the person who performs it. Matthew 4:1–11 shows us that even Satan can use Scripture. He may also use miracles or remarkable events for his own damnable purpose: to lead people away from Christ. The Gospel provides the surest grounds for testing deeds and claims. God came in the flesh to redeem humankind from their sins and save them through faith in Christ alone. See Galatians 1:8; 1 John 4:1–6; John 8:44; 2 Timothy 2:24–26; 1 Peter 5:8; Luke 22:31–32. Selected paragraphs from chapter 12 of Faith and Science in a Skeptical Age, pages 116–117 © 2014 Concordia Publishing House. All rights reserved. 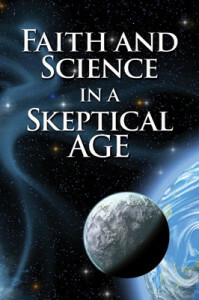 To order Faith and Science in a Skeptical Age, visit www.cph.org or contact CPH at 800-325-3040.